Loring has been missing from the Blackfeet Reservation for almost two years. She was last seen in Browning in June of 2017, but there is confusion about the exact day. The post Reward in Ashley Loring HeavyRunner Case Increased to $15,000 appeared first on Tribal College Journal of American Indian Higher Education. The post New Sensory Garden at NWIC Early Learning Center appeared first on Tribal College Journal of American Indian Higher Education. 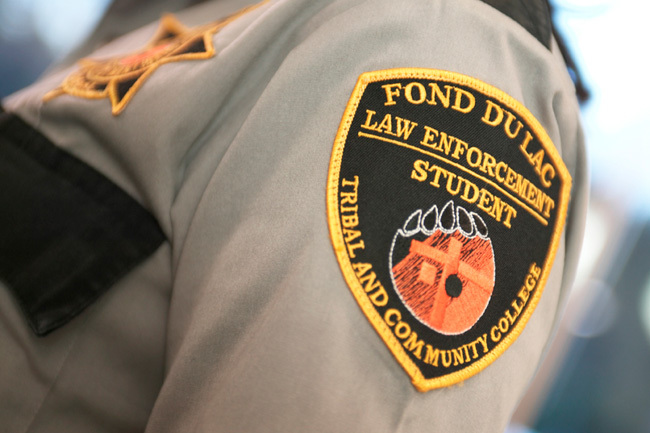 Fond du Lac Tribal and Community College (FDLTCC) is hosting the 16th annual Law Enforcement Career Expo and Campus Visit Day from 10:00 a.m. The post Fond du Lac Tribal and Community College Prepares for Law Enforcement Career Expo appeared first on Tribal College Journal of American Indian Higher Education. Blackfeet Community College and Salish Kootenai College have a long history of coordination with UM. With this new position, they hope to expand on that relationship and get Native American students with associate’s degrees and certificates into undergraduate programs at UM. The post New Position Created for Native American Outreach appeared first on Tribal College Journal of American Indian Higher Education. Ten Navajo Technical University (NTU) students will be traveling to Louisville, Kentucky in June to compete in the SkillsUSA national conference after winning gold medals at the SkillsUSA state competition at Central New Mexico Community College. The post NTU Students Showcase Their Career and Technical Skills at the 2019 SkillsUSA State Competition appeared first on Tribal College Journal of American Indian Higher Education. At Leech Lake Tribal College Thursday, it was the former in Michael Price's "StarLab," where he told attendees about Ojibwe star knowledge at the college's fourth-annual Across the Universe family night. 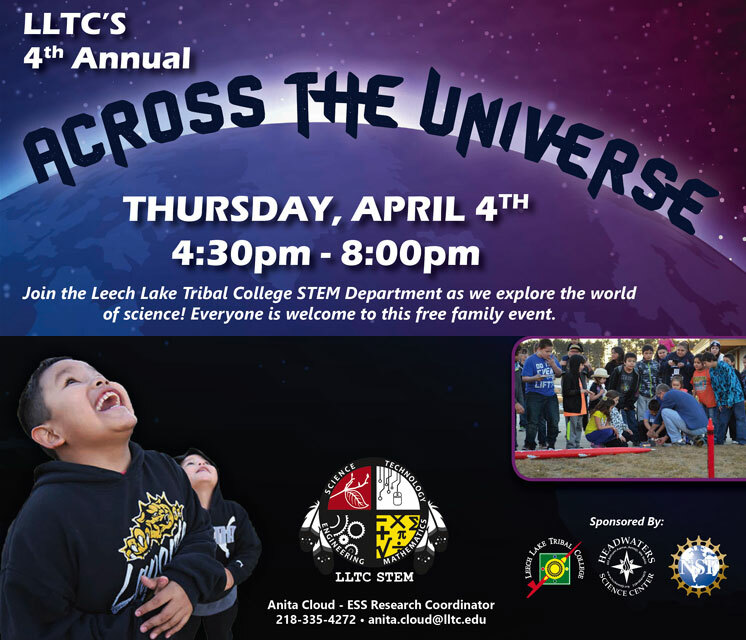 The post The Science of Fun: Across the Universe Showcases STEM at Leech Lake Tribal College appeared first on Tribal College Journal of American Indian Higher Education. The exhibit is hosted by The Heritage Center and includes 40 pieces of work submitted by both OLC staff and students that feature a wide array of mediums. The post A Celebration of Art for Oglala Lakota College Students and Staff appeared first on Tribal College Journal of American Indian Higher Education. Cheryl Crazy Bull, President and CEO of the American Indian College Fund, with Emily White Hat, Director, Strategy and National Outreach of the College Fund, have published a scholarly paper exploring how tribal colleges and universities (TCUs) incorporate tribal values and knowledge of land sustainability and ecology into their institutions, making them substantially different from other academic institutions. The post American Indian College Fund Staff Publish Article on Role of Place and Ecology in Tribal Colleges and Universities appeared first on Tribal College Journal of American Indian Higher Education. Students from Baraga, L’Anse, Sacred Heart, and Arvon schools gathered at the Keweenaw Bay Ojibwa Community College on Wednesday for an environmental fair. The post Students Learn about Natural Resources at Environmental Fair appeared first on Tribal College Journal of American Indian Higher Education. 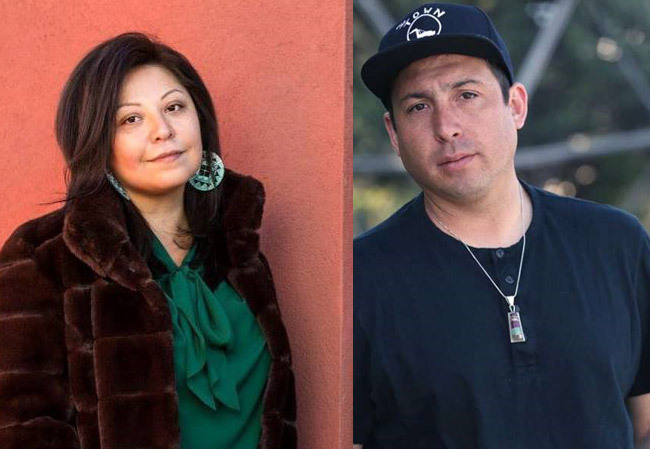 The post IAIA alumni Tommy Orange and Terese Mailhot Receive PEN/Hemingway and Whiting Non-Fiction Awards appeared first on Tribal College Journal of American Indian Higher Education. Fond du Lac Tribal and Community College (FDLTCC) was awarded a $499,407 grant from the National Oceanic and Atmospheric Administration’s (NOAA) Environmental Literacy Program to advance community resilience through environmental and climate education. The post FDLTCC Receives NOAA Extreme Weather Education Grant appeared first on Tribal College Journal of American Indian Higher Education. The Institute of Museum and Library Services (IMLS) announced that the Fort Belknap Indian Reservation’s Aaniiih Nakoda College Library (ANCL) is among the 30 finalists for the 2019 National Medal for Museum and Library Service. The post Aaniiih Nakoda College Library Finalist for 2019 National Award appeared first on Tribal College Journal of American Indian Higher Education. 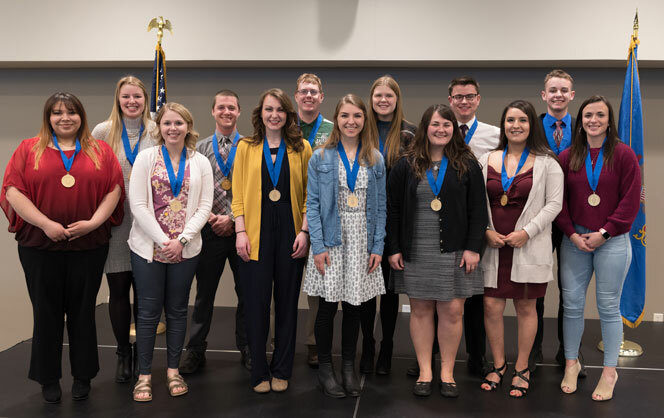 Thirteen North Dakota community college students have been named to the 2019 All-North Dakota Academic Team, which recognizes the academic achievements of community college students. The post CCCC Student Carmencita Leaf Named to the All-North Dakota Academic Team appeared first on Tribal College Journal of American Indian Higher Education. TCUs are the most affordable colleges and universities in the United States, and 85 percent of TCU students receive federal financial aid. The post The Unique Role of Tribal Colleges and Universities appeared first on Tribal College Journal of American Indian Higher Education. United Tribes Technical College is encouraging high schoolers to consider STEM careers with a series of classes. The college is hosting a free North Dakota Epscor Sunday Academy Program. The post United Tribes Sunday Academy appeared first on Tribal College Journal of American Indian Higher Education. As addiction and incarceration reach epidemic levels, tribal colleges and universities offer those who have stumbled a chance to begin anew. The post Seize Second Chances appeared first on Tribal College Journal of American Indian Higher Education. 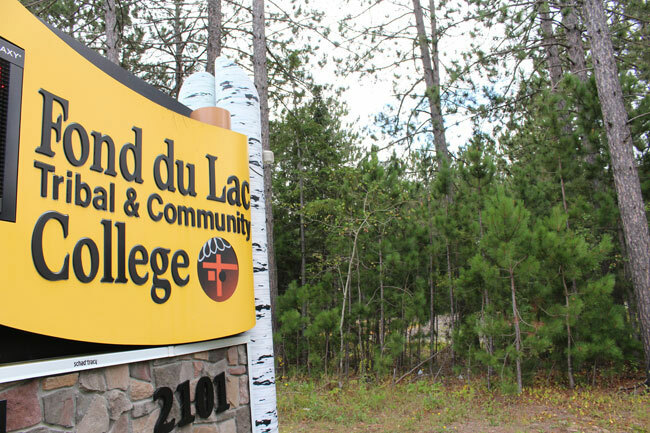 The College for Seniors Program at Fond du Lac Tribal and Community College (FDLTCC) is up and running with a new schedule of spring semester 2019 courses. The post FDLTCC College for Seniors Spring Courses in Full Swing appeared first on Tribal College Journal of American Indian Higher Education. The post CCCC to Host North Dakota Tribal College Research Symposium appeared first on Tribal College Journal of American Indian Higher Education. 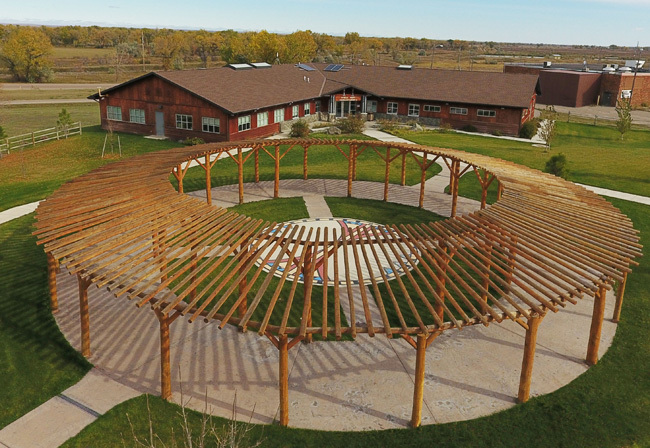 The post Leech Lake Tribal College to Hold 4th Annual Across the Universe Event appeared first on Tribal College Journal of American Indian Higher Education. For the president of College of the Muscogee Nation, creating community on campus is central to success in the classroom. The post A Sense of Belonging: Robert Bible Puts Student Success First appeared first on Tribal College Journal of American Indian Higher Education.